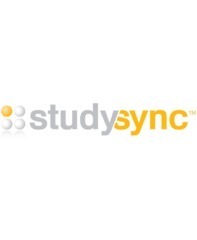 Learning List has reviewed McGraw Hill’s StudySync California. This comprehensive resource addresses California’s English language arts (ELA) and English language development (ELD) standards for grades 6-12. Materials are provided in online and print formats and support instruction in blended learning environments. The core literacy program provides integrated instruction in the close reading of complex texts, writing for specific purposes (e.g., argument), and research skills. Content is structured around the five key themes of the California Framework: Making meaning, language development, effective expression, content knowledge, and foundational skills. At each grade level, instruction is presented in four 45-day thematic units that include 10-12 short texts for students to analyze, integrated writing and research activities, and a recommended longer “Full Text Study.” Core instruction is presented in each unit’s “Instructional Path” for each of the literary and informational texts contained in the unit. Built on the work of Douglas Fisher and Nancy Frey (i.e., “Rigorous Reading”), the Instructional Path begins with a “First Read” lesson followed by several “Skills Lessons” and concludes with a “Close Read” lesson that revisits the text. Each unit includes an “Extended Writing Project,” a “Research Project,” and a recommended “Full-Text Study.” The Extended Writing Project provides core writing instruction and allows students to explore the unit’s theme more deeply, by drawing on the texts read, through research, and students’ own experiences. Research Projects provide opportunities for students to develop research and presentation skills by examining a topic related to the unit’s theme in greater depth. The recommended Full Text Study for each unit suggests an additional full-length work for student to read and study.